Dogme 95 was born in March 1995, with the quintessential act of machismo: a thrown gauntlet. At a conference celebrating a hundred years of cinema and looking ahead to its future, Lars von Trier read the movement’s manifesto and “Vow Of Chastity,” then thrust red pamphlets containing both documents into the audience and left the building. He had delivered not just a rant against expensive Hollywood spectacles and the avant-garde’s descent into complacence, but also, in the “Vow,” a set of 10 rules aimed at liberating the art form from the excesses of technology, genre, and directorial ego. Particularly compared to the various New Waves of the mid-20th century, which generally topped out at a single female auteur (Agnès Varda in France, Věra Chytilová in Czechoslovakia), Dogme was a rare triumph for women in the avant-garde. Though von Trier and Vinterberg acknowledged the French New Wave in particular as an ancestor, the manifesto dismissed its principles as “bourgeois romanticism.” Ideologically, Dogme’s priorities aligned more closely with punk rock than auteur theory. Just as 1970s punks had fought the technical bloat of prog rock by stripping back their music to just a few chords, Dogme revolted against effects-driven blockbusters by banning just about every cinematic element that might distract from the story and characters. 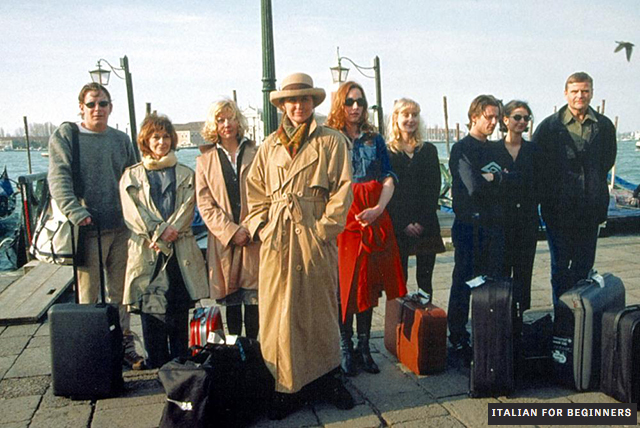 For Dogme as well as for punk, the minimal aesthetic lent itself to a DIY ethos. In an interview for Richard Kelly’s 2000 document of the movement’s early years, The Name Of This Book Is Dogme95, von Trier enthused about the potential for directors in nations without established film industries to “look at Dogme and think, ‘If that’s a film, then we can make films too.’ Instead of just thinking, ‘Oh, if it doesn’t look like Star Wars, then we can’t make a film.’” Dogme never officially spread to developing nations, but it did find adherents on four continents. And at home in Denmark, its democratizing imperative made it an ideal platform for female filmmakers, the same way punk’s rejection of rock ’n’ roll’s boys’-club elitism brought an influx of women into music 20 years earlier. None of Danish Dogme’s women directors were entirely new to filmmaking, though each had quite a bit to gain by aligning herself with the movement. Arthy had been working for a decade in children’s entertainment. In Your Hands helped Olesen solidify her reputation immediately following her well-received debut feature, Minor Mishaps. And while Bier was already famous within Denmark, thanks to her popular 1999 romantic comedy The One And Only, 2002’s Open Hearts propelled her out of the domestic mainstream and into the international avant-garde. 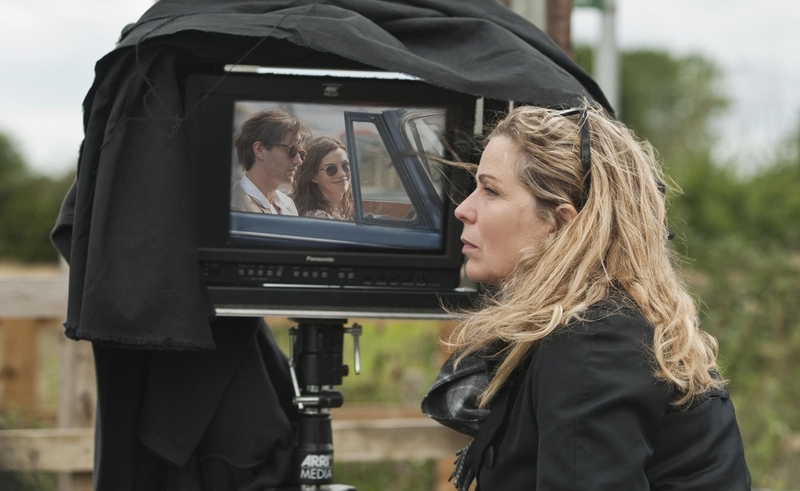 But no filmmaker got a bigger boost from Dogme than Scherfig, who had mostly directed television before making Italian For Beginners in 2000. An unqualified hit both internationally and in Denmark—where it accounted for an astonishing 700,000 out of a total 2.1 million movie tickets to Danish films sold in 2001—Scherfig’s film was the first Dogme contribution from a Danish filmmaker outside the Brotherhood. It follows six lonely women and men as they learn how to wring joy out of life in a deadening, death-stricken suburb, where family obligations and demeaning jobs have put them all on emotional autopilot. Often lazily categorized as a romantic comedy, Italian For Beginners is more like a feature-length conversation about religion, sexuality, and the purpose of life. Finding love isn’t what completes the characters, smoothing over their flaws and resolving their anxieties. Instead, through shedding the weight of guilt, obligation and self-doubt, the characters are rendered complete enough to find love. Arthy’s entry, 2003’s Old, New, Borrowed And Blue, is less philosophically ambitious than Scherfig’s, though it too balances a romance plot with elements that drag it out of the realm of fantasy and into a messier world that more closely resembles real life. Katrine’s (Sidse Babett Knudsen) reunion with her handsome old friend Thomsen (Björn Kjellman), who returns to Copenhagen two nights before her wedding, seems inevitable. But the obstacles in their path to happiness, including Katrine’s mentally ill sister (Lotte Andersen) and the discovery that Thomsen is HIV-positive, are too substantial to fade away as they get together. This honesty about the characters’ uncertain future makes Old, New, Borrowed And Blue equally haunting and heartening. Open Hearts—a masterpiece that has since, unfortunately, been overshadowed in Bier’s filmography by the international award-winners After The Wedding and In A Better World—takes an even darker view of love, after faking viewers out by opening with a charming marriage proposal. Within the first 15 minutes, Bier veers suddenly and completely into the story of a car accident that leaves one man (Nikolaj Lie Kaas) paralyzed and two relationships on life support. The film’s momentum comes from the way it exposes the delicate power dynamics that underlie heterosexual relationships, disrupting and inverting and reasserting the archetypes of male strength and female vulnerability in ways both upsetting and thrilling. A more complicated interpersonal dynamic forms the foundation of Olesen’s 2004 film In Your Hands, the final film to receive Dogme’s certificate of compliance. Set in a Danish women’s prison (American viewers might initially mistake it for a boarding school), it contrasts the plights of Anna (Ann Eleonora Jørgensen), the chaplain, and Kate (Trine Dyrholm), a new prisoner. The irony Olesen presents isn’t just that Anna and her partner may be forced to terminate a long-awaited pregnancy while Kate’s drug-addled negligence resulted in her own young daughter’s death; Kate is also viewed as a sort of messianic figure at the prison, though Anna is its official religious leader. As in Italian For Beginners, the questions of In Your Hands are philosophical: Why is pious, law-abiding Anna denied a child when it’s so easy for the criminals she works with to have babies? And why does spirituality come so naturally to Kate, who has done such a terrible thing? Whose version of God is real—Anna’s, Kate’s, or none of the above? These four films share Dogme’s spare, digital aesthetic, but they also complement each other thematically, overlapping in their preoccupations with love, spirituality, and afflictions both mental and physical. With the exception of In Your Hands, romance is central to all of these movies, but each is more concerned with the psychological and philosophical insights gained on the road to (or away from) love than with providing a fairy-tale resolution. In keeping with Dogme’s declaration that genre movies were “not acceptable,” each also flagrantly subverts the conventions of romantic comedy—the genre that brought Bier to prominence, and the cinematic niche that simultaneously welcomes and traps women directors. But it would be a mistake to overstate the similarities between Scherfig’s, Bier’s, Arthy’s, and Olesen’s films, or their differences from the work of their male contemporaries. (In fact, Søren Kragh-Jacobsen’s bafflingly stupid Mifune’s Last Song is Dogme’s most conventional romantic comedy.) Like the men’s movies, each bears the unmistakable stamp of the director who made it. This is the paradox of Dogme, one that rendered the “Vow’s” ban on “personal taste” impossible: In dictating a shared style that eschewed visual and narrative clichés, it ended up highlighting each director’s distinct point of view. In doing so, it accomplished something more radical than simply freeing women from the tyranny of the romantic comedy. Plenty of genres, like action and science fiction, assume a predominantly male audience; Dogme released creators and viewers from those gendered assumptions too. And by denouncing the high-priced spectacles and “superficial action” that have since reached their hysterical apotheosis in city-smashing, vehicle-exploding superhero franchises, von Trier and Vinterberg were countering a trend toward the hyper-masculinization of film. The manifesto’s exhortation to make low-budget films built around “characters’ inner lives” was a mandate to ignore superficial differences and find what makes each character different, as well as what is universal about all human experience. Since Dogme’s demise, Scherfig and Bier have both ascended to global renown. Scherfig’s English-language period drama An Education was nominated for a Best Picture Oscar in 2010, and Bier’s In A Better World took home the Best Foreign Language Film award the next year. Though they’ve also graduated to bigger-budget projects, each remains at her best when telling a contained, psychologically rich story about a small group of characters. Meanwhile, American independent filmmakers like Lynn Shelton and Kelly Reichardt continue to make relatively inexpensive, character-driven movies that also echo the best Dogme films in their resistance to easy genre categorization. Whether this approach’s appeal to women directors is more aesthetic or practical remains an open question. (In the cases of Shelton and Reichardt, the overwhelming maleness of Hollywood could certainly have something to do with it.) But to argue that Dogme 95 was uniquely suited to the artistic concerns of female filmmakers is to miss the point entirely—to invite the same kind of gender essentialism the movement precluded. As Scherfig told Richard Kelly when he asked what it was like to be the first female Dogme director, “I can’t think about what it means to be a woman in this situation. I have no idea what the alternative is.” What matters more is that Dogme gave women a platform to make the films they wanted to make, rather than the films that were expected of them.